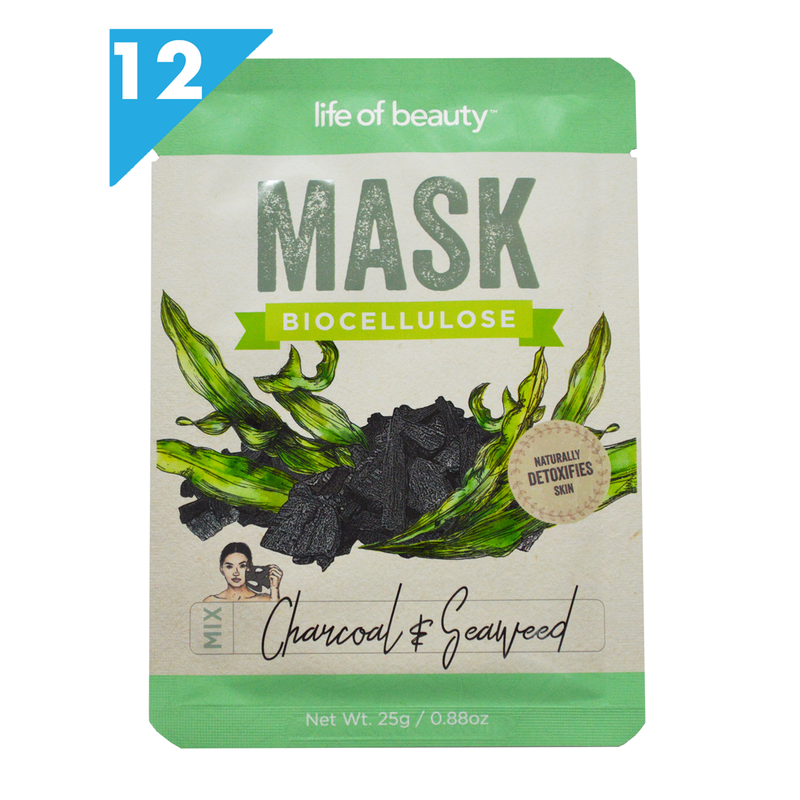 CHARCOAL AND SEAWEED FACE MASK THAT DETOXIFIES & BRIGHTENS– Charcoal absorbs impurities & detoxifies skin. Seaweed can moisturize and calm the skin. 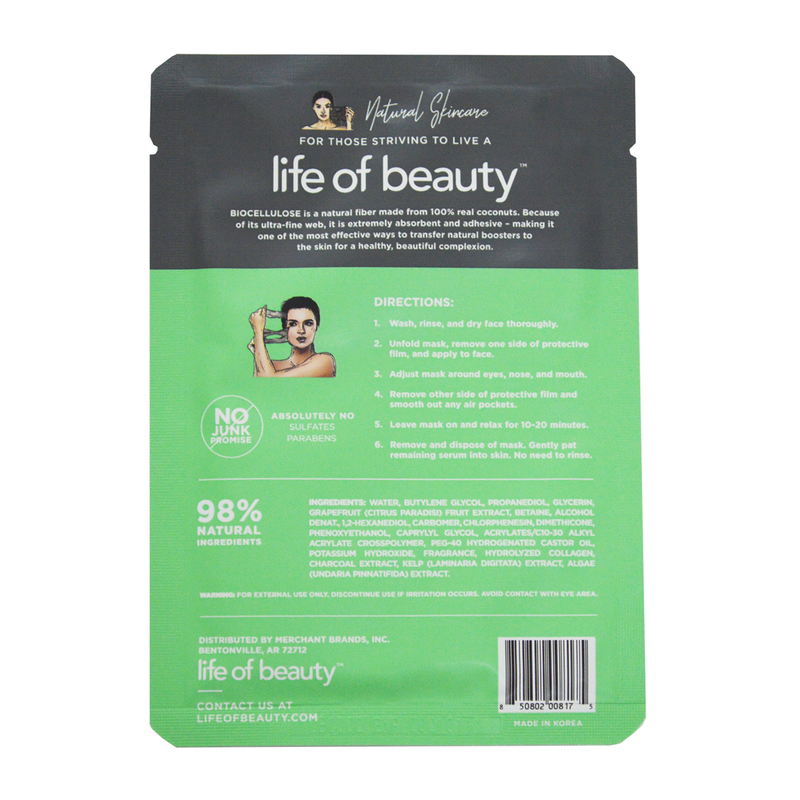 It is also good at combating acne, smooths skin for a glowing complexion & minimizes pores for a soft look. 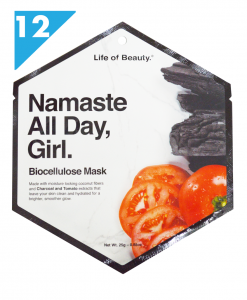 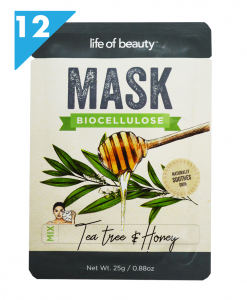 12 SHEET MASK SET – Biocellulose fabric allows these masks to adhere and penetrate deep into the skin and pores, allowing for a deep, effective clean. 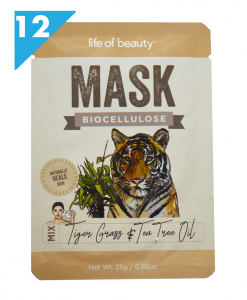 Best used with our other 2 facial sheet masks: Tea Tree Oil with Tiger Grass and Tea Tree Oil with Honey.